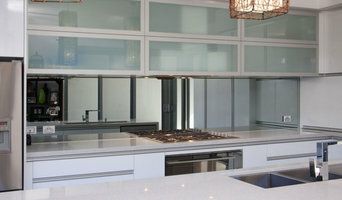 Perth's largest supplier of glass & porcelain splashbacks. Fifteen years have passed since WA GlassKote first introduced splashbacks to Western Australia. In that time, the company has grown to become the largest coloured-glass specialist in Perth. WA GlassKote has installed more than 60,000 splashbacks into an array of building developments, ranging from single dwellings and apartment block complexes, to exterior claddings on high-rises. GlassKote is a permanent colour-fixing process for glass that uses computer colour-matching tools and a unique additive that can be applied to all types of glass. Perth Bathroom Packages specialises in providing the home renovators of Perth with complete bathroom solutions that are 100% ready for installation. Our on-site professional designers create elegant, stylish and luxurious bathroom settings created by the world’s leading bathroom manufacturers including Kohler, Hatria, Marblo and Luxe by Nobili. Buy purchasing a complete bathroom solution from us, you’ll save the huge amounts of time, money and stress normally associated with designing a bathroom yourself. Just come and visit our massive showroom in Osborne Park, experience our complete bathrooms first hand and select the one that perfectly meets your space, budget and tastes. It’s that simple. At Wallaby, we know what needs to be considered for the function, reliability and installation of quality European fixtures and fittings. As specialists in lifestyle products, we have the experience, skills and technical knowledge to help you realise your dream. Our focus is on supplying the finest kitchenware, bathroomware and home solutions in the market. We exclusively import European designed and manufactured brands. These select partners are closely aligned to everything we're passionate about – design led products, timeless style and individuality - as well as being continual innovators who never compromise integrity delivering products that are modern and enduring. We are continually seeking out partners that are passionate and looking to use new manufacturing methods to improve efficiency and be environmentally more responsible. Established in 1994, The Sink Warehouse quickly became one of the most popular retail outlets for kitchen sinks in Perth with our unwavering commitment to quality and service, as well as supplying products to our national customers. 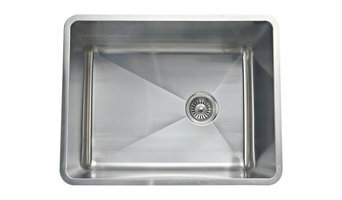 That’s where we started, but now we offer much, much more than just sinks. 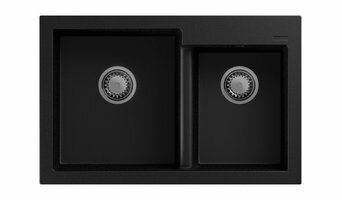 Our team is committed to securing the best quality products at the best possible prices, and you will find products to fit out your entire bathroom with an extensive range of basins, baths, showers, vanities, shower fittings, and accessories, together with a huge array of taps to suit any style or budget. Through our dedication over the years, we have built up an enviable reputation and now have a number of stores around Western Australia and also an online e-store serving customers Australia-wide. As The Sink Warehouse, we are proud to offer the best range of kitchen, bathroom and laundry products. Wet Wall is suitable for domestic, contract and commercial interiors offering solutions for shower enclosures, bath surrounds and wall panelling with the ability to create an impressive and seamless wall covering solution that is 100% waterproof. The panels are available in either square cut or tongue and groove panels. The product is manufactured with an FSC® certified core and carries a 10 year warranty. Wet Wall Panels are incredibly easy to install. They can be installed over most existing surfaces – including tiles, it does not require grouting (saves labour costs and mess) they are transforming rooms across the nation. Furthermore, Wet Wall Panels are very low maintenance once installed, ultra hygienic and cost effective. With numerous styles available, Mr Wet Wall Panels can be used to create your dream bathroom or kitchen, whatever your taste. It can give a minimalist look which quickly becomes the focal point in the room. Bathroom Warehouse is located in Perth WA and supplies quality bathroom vanities, spa baths, basins, tap mixers, mirror cabinets, toilets, kitchen sinks and bathroom accessories at warehouse prices. Proud to be The Bathroom Warehouse, we were established in 1996 to provide the public with a comprehensive range of bathroom fixtures and fittings under the one roof. We supply all major manufacture Bathroom Products from tap mixers, toilets, spa baths and an outstanding range of quality tiles to suit the most discerning buyer. First established as Tuck Plumbing Hardware in 1975, the business – now known as Tuck Plumbing Fixtures - has grown throughout the years to become one of Perth's most prominent suppliers of quality bathroomware and kitchenware. An owner-operated business, Tuck Plumbing Fixtures has enjoyed the same stunning showroom in Osborne Park since its establishment. Proving the test of time, the company has outlasted many of its competitors and earned a solid reputation for continuously offering a high standard of product quality and customer care. Tuck Plumbing Fixtures houses some of the most renowned world-class brands including Villeroy & Boch, Caroma, Hansgrohe, Franke, Oliveri, Fli.Frattini, Gessi and many more. Combining these dependable brands with exceptional service, Tuck Plumbing Fixtures removes the frustration from your decision making process. Exclusive bathroom and kitchen wares including tapware, baths, showers, vanities and more. Specialising in custom selections for middle to high-end products. Building or renovating and looking for the latest European bathrooms trends, then take a look at the following leading brands from Europe. Gro Agencies, a family owned and operated business who have been supplying the building industry for over 30 years with quality European bathrooms products. The Tile Mural Store Australia is the leading manufacturer of custom Tile Murals for kitchens and bathrooms and a distributor of swimming pool mosaics. With over 3,000 designs from world renowned artists like Christian Reese Lassen, Paul Brent, Jim Hansel, Carey Chen, Sam Park, Sung Kim and Jennifer Garant. We will also produce custom murals with the customers own images. Owner Todd Halvorson is one of Perth’s most experienced and reliable glaziers. He has been supplying and installing shower screens, splashbacks and wardrobe doors in Perth for over 25 years. He also provides general glass repairs and maintenance, including sliding glass door roller replacements. Whether you’re updating, renovating or building a new home, if you can imagine it, we can make it happen. We offer a full range of products, including fully-framed, semi-framed, and frameless shower screens; sliding mirrored-robe doors; bevelled, framed, polished edge and bathroom mirrors; etched-glass products, pet doors, and glass splashbacks. Whether it is a kitchen renovation, a bathroom renovation or a complete house renovation we have the experience and the ENTIRE wage staff to turn your ideas into reality, without breaking the bank. We will design, install and get any style of kitchen or bathroom you wish done at the right place. Use the Houzz Professionals listings to find Perth, Western Australia kitchen and bath accessory vendors. Don’t rule out asking a kitchen manufacturer’s design team for help, too. Skills often can be overlapped to save you time and money! Here are some related professionals and vendors to complement the work of kitchen & bathroom fixtures: Kitchen & Bathroom Designers, Kitchen & Bath Renovators, Interior Designers & Decorators, Joinery and Cabinet Makers. Find kitchen and bath fixtures and accessories, plus installation experts, on Houzz. Check out Western Australia kitchen products and installers, and bath plumbing products and installers, on Houzz. You can also look through project photos provided by Perth, Western Australia renovators, retailers and designers.